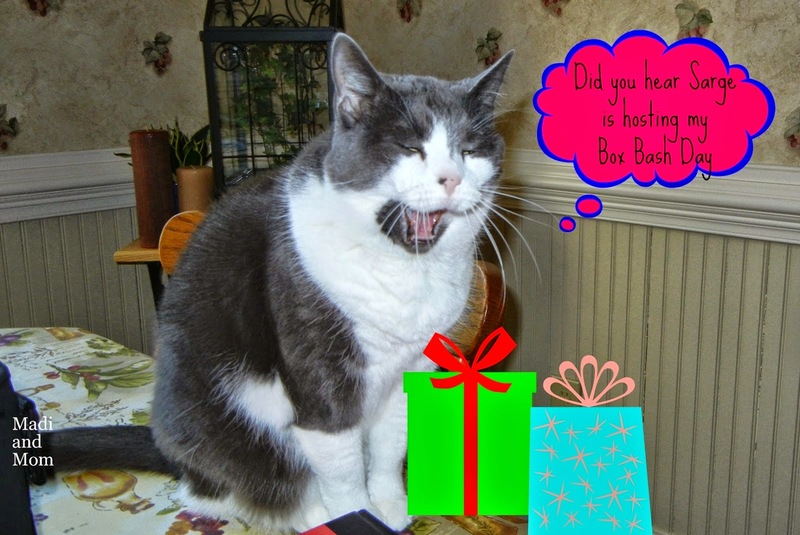 Speedy the cheeky house bunny: Madi's Box Bash! Today is Madi's Box Bash hosted by Sarge to say farewell to Madi as Mayoress of Blogville as Murphy and Stanley Take the job...good luck to them. and of course this is my new Box Castle! Frankie and Ernie are hosting the games for Madi's Party Here! And of course there is only one gal to run the Bar Ruby....anyone for a Margarita? And don't forget Sarge is running the event in segments so keep checking in Here! Hoy en mi vagón quedaran puestos desocupados y espero te sientes a mi lado para compartir [email protected] este nuevo viaje. FELIZ NUEVO COMIENZO EN ESTE AÑO 2015!!! A box Castle!!! Wow, Speedy what a wonderful idea, I luffs that castle! How did you box Castle taste, Speedy? I can see you had tasted it LOL. Look at your cute self there in your litter box and castle box. Hey I need a castle. You KNOW that we LOVE your Castle, Speedy. OMC OMB OMD OMP there are members of EVERY species here to celebrate Madi's big day... Glad that You... HOPPED IN too... that is a Funny Bunny PUNNY fur you buddy. That Box Castle is fantastic! You are one lucky bunny to have such an awesome place to get away from it all! Isn't this a great celebration for Madi? We are having a grand time! I really dont know what is a box bash, but ... what did you do with your castle Speedy. Did you eat the door ? We love your new castle Speedy and it looks like you have been doing some renovations!! Mes LOVES your castles! Mes must talk to Mommy about making mes one! You box castle is just the best Speedy! Hey, you're looking good Speedy! Love your castles Speedy. The box bash was a fun pawty. Tubby got to join in. Your new castle is holding up well! You must like it fine, Speedy! How cool that you have a castle! It was nice of you to share that with Madi too. SPEEDY!!!! I LOVES your Castle!!! OMD, Madi is gonna spend like 87 HOURS explorin' it!! Nice job! Oh my gosh! I LOVE that box castle. Mr Butterbean would probably like it, too. He's not much for eating boxes (or castles) but he does like throwing them around. Oh yeah, you bunnies are all about the boxes. Molly and Faline has loads! Good work on restructuring the castle so far Speedy. 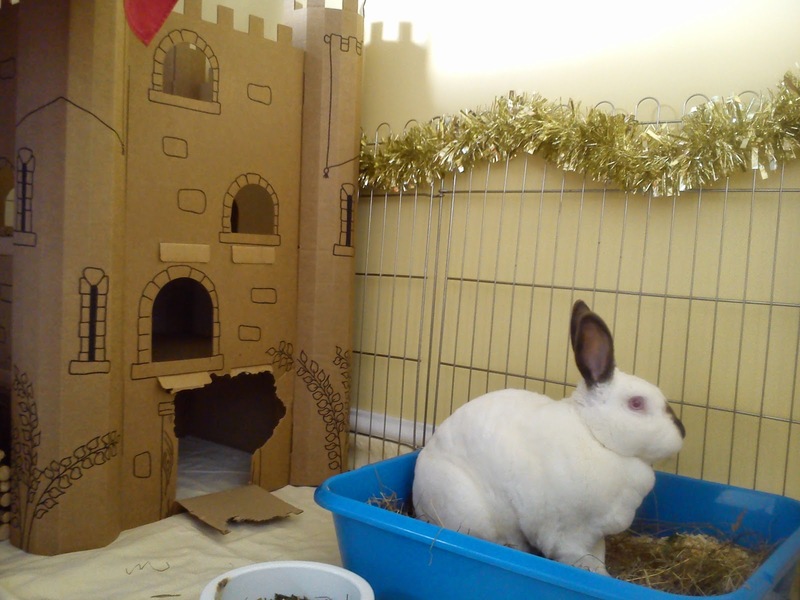 Oh Speedy, we like your new castle. That is terrific. You all have a wonderful day. Thank you Speedy you have given us a reason to smile and have some fun today. After I visited the links I am trialling some new dog toys. Hooray for Bunnies like you and peeps like your Mom and Dad. Speedy and The Viking adventure!